SPA, Belgium (AFP) – Frenchman Sylvain Chavanel claimed the leader's yellow jersey after winning yet another crash-marred stage of the Tour de France as the peloton called a truce in the wet Belgian Ardennes. US rider Christian Vande Velde was forced out of the race after breaking two ribs and suffering eye injuries after crashing twice. Vande Velde was among three team riders, including American Tyler Farrar and New Zealand's Julian Dean, from the team who were taken to hospital for checks after dozens of competitors crashed on the slippery descents in the latter half of the 201km ride from Brussels to Spa in the Belgian Ardennes. "I'm not sure what I hit; I think it might have been a pole," said 34-year-old Vande Velde, who had finished fourth on the Tour de France in 2008 and eighth in 2009 and had high hopes for this year's race. "At that point my eye was bleeding pretty badly and the pain in my side and my back was excruciating. I got back on the bike though... I tried to stay with that group, but the pain was too much and I couldn?t get out of the saddle to make it back on." 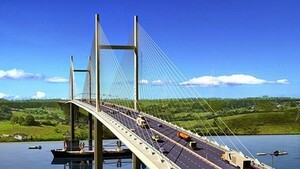 He added: "No one wants to leave the Tour de France. I'm indescribably disappointed to not be starting tomorrow. I don?t ever want to have to see another day like today, whether I?m in the race or not." Spilled oil from a motorbike which crashed ahead of the peloton is being blamed for the high number of accidents, with seven-time winner Lance Armstrong, reigning champion Alberto Contador and last year's runner-up Andy Schleck all escaping unhurt despite hitting the tarmac. To believe Team Sky manager Dave Brailsford, whose main yellow jersey contender is British Olympic pursuit champion Bradley Wiggins, it was total madness. "It was ridiculously slippy," said Brailsford. "They were coming down the last couple of descents and there were guys in the trees. "It was carnage in the true sense of the word. Sixty guys must have crashed in different places." Swiss Olympic time trial champion Fabian Cancellara started the day with the yellow jersey but after the Schlecks, his teammates at Saxo Bank, crashed he decided enough was enough. Numerous spills had marred the first stage on Sunday, so a day ahead of a third stage which feature seven treacherous cobblestone sectors - and likely more crash drama - the peloton laid down their arms. Chavanel went on to take a well-deserved stage win, and with it the race lead with a 2min 57sec lead on Cancellara - although the big Swiss said his decision not to try and keep the jersey was worth it. "It was the right thing to do to wait, so everybody comes together to the finish line together," Cancellara later explained. "When you have everybody on the ground and people five minutes behind because they can't find their bike then it's only normal." The peloton was booed by some sections of the crowd as they trickled over the finish line, but, clearly, the riders felt it was simply too dangerous to risk racing. "Everybody went down," said American Chris Horner, one of Armstrong's helpers in RadioShack. "I had bikes going down behind me that slid in front of me. The stage was too dangerous to be in the Tour de France." Despite the pact, Chavanel's lead never seemed under threat although he later admitted he did not expect to finish with the lead of 3:56 which gave him the yellow jersey. "I didn't know what was going on behind me, although I did hear there'd been a crash. 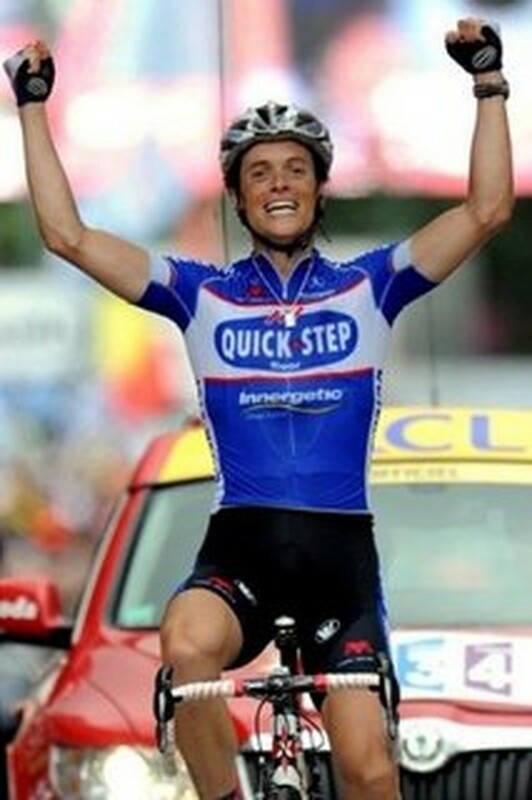 All I know is that I gave it everything I had," said Chavanel. "But whether the stage ended up being neutralised or not, it doesn't take anything away from my win." In third place overall is German Tony Martin of HTC-Columbia, who is 10secs behind Cancellara. Seven-time champion Armstrong moved one place down to fifth, at 3:19 behind Chavanel, with reigning yellow jersey champion Alberto Contador of Astana in seventh at 3:24. Chavanel is not a contender for overall victory in the race, but his win has given a huge boost to his Belgian Quick Step team on what is the only stage of this year's race to be held entirely in the country.